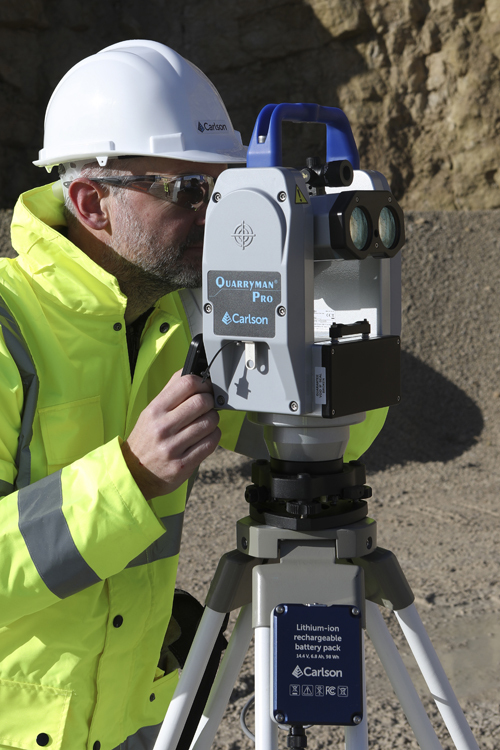 Using Carlson‘s Quarryman Pro rock-profiling and laser-scanning system not only improves site safety, it also gives you the data to make decisions that increase productivity. Improved safety: Plan safer blasts based on accurate data to protect workers and the local environment, and keep you legally compliant. 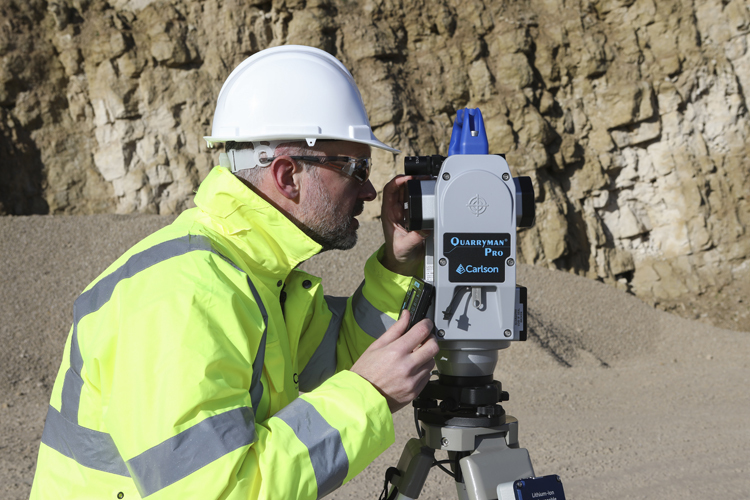 Increased profitability: Blast planning using Quarryman Pro helps cut the cost of transport hire and fuel, explosives and secondary breakage. Improved productivity: Calculate stockpile volume quickly to produce fast and accurate material stock valuations. Coming in a single ‘Peli’ case, Quarryman Pro is lightweight and portable and can be transported easily between sites. It attaches quickly and securely to its tripod for rapid deployment and use. 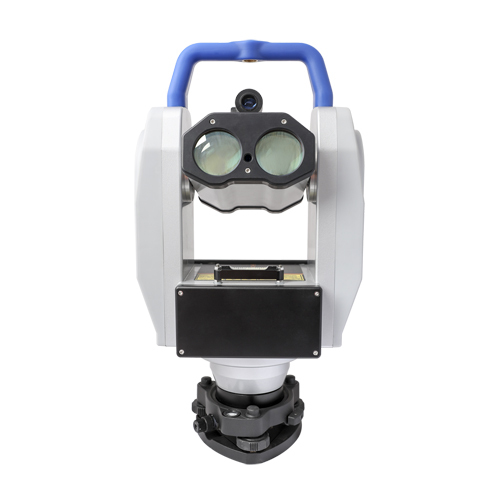 Operators can choose between a manual point-and-shoot mode and an automatic laser-scanning mode (250 points per second). Entire rock faces can be scanned in minutes. 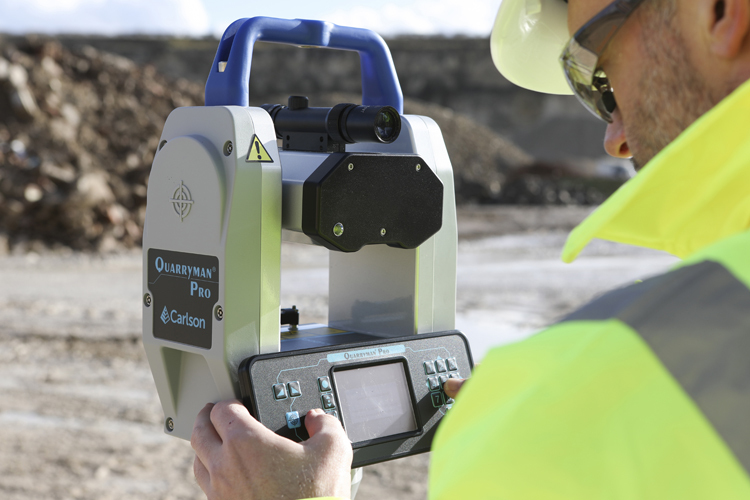 Quarryman Pro measures and records millions of data points directly to a USB drive and does not require external PDAs or computers in the field for data storage. 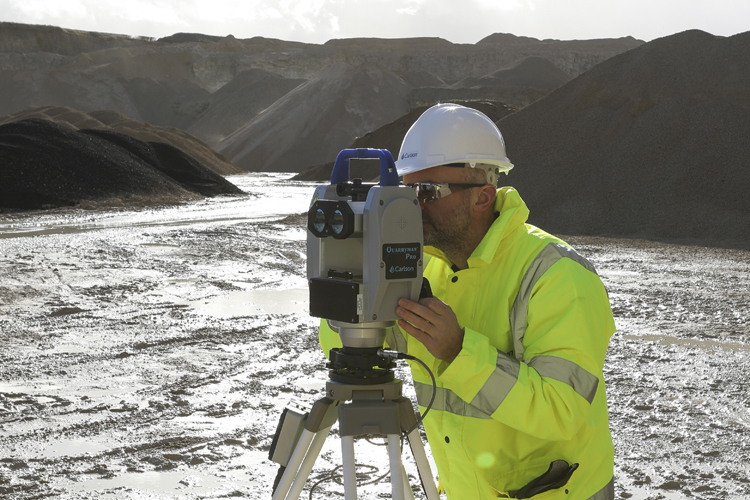 By using the separate Quarryman Viewer software on a laptop or PC, the collected data can then be reviewed as a detailed 3D model, which can be edited, analysed and exported to specialist packages (blast design or mine survey). 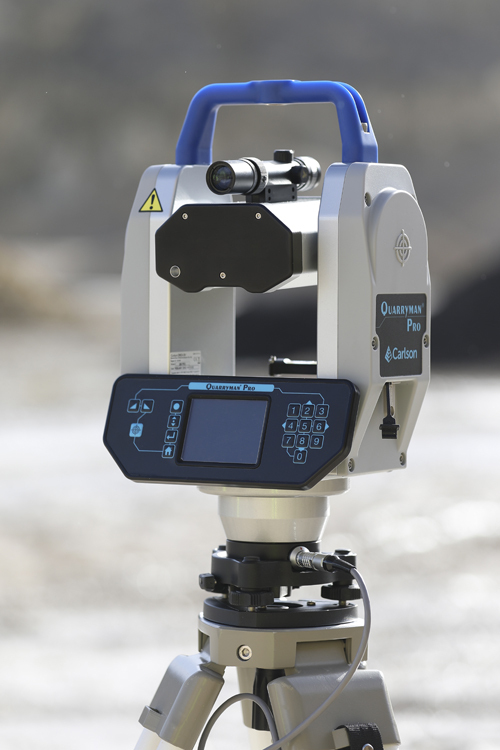 The rugged, portable and easy-to-use Quarryman Pro has been carefully designed and tested to ensure it is robust enough to operate in the toughest conditions. 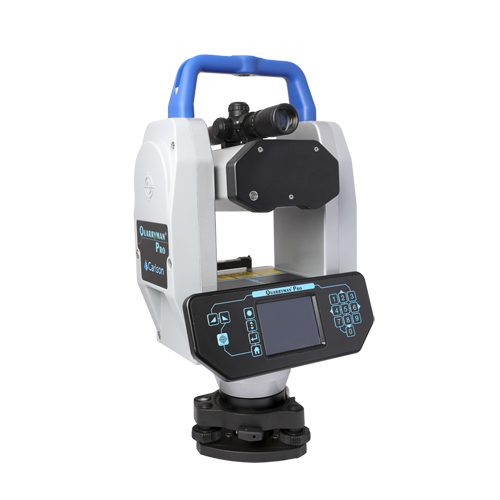 This versatile system offers several applications, representing a value-for-money investment that gives operators the ability to quickly and simply collect data to support all areas of operation. 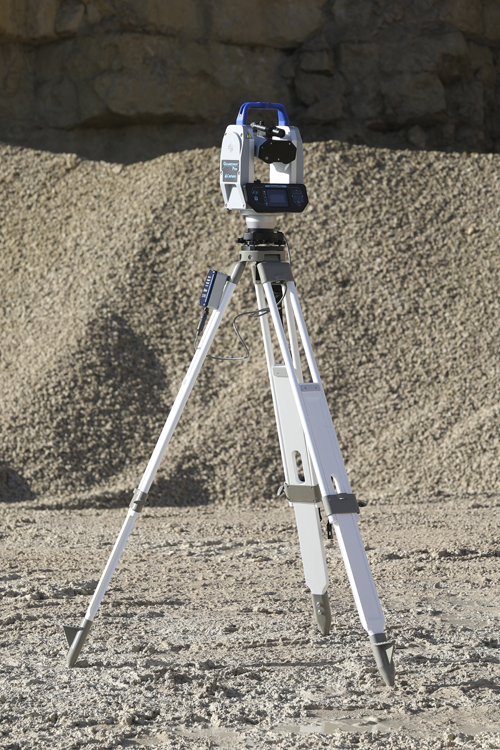 Quarryman Pro has been the must-have on-site system for quarries for over two decades. The original Quarryman – and subsequent models – transformed on-site safety and enabled our customers to modify their processes simply and swiftly to improve post-blast workflow and minimise costs. The new larger sun-readable screen for better visibility is also now in full colour. Data is saved to a USB, rather than a flashcard, for ease of data transfer, and to enable you to hold many more files. 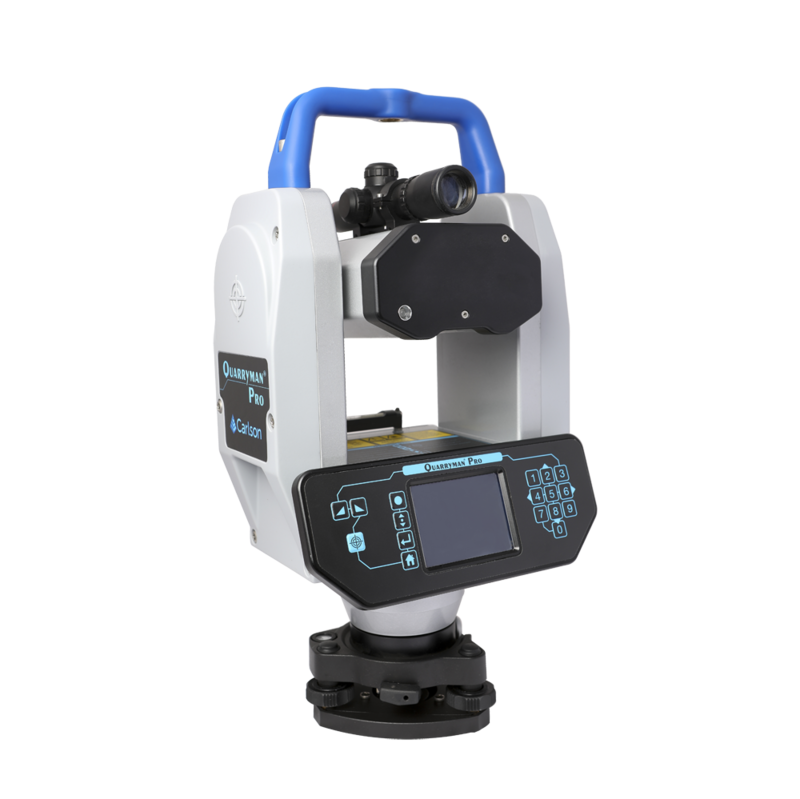 A GPS mount is built into the handle so that the Quarryman Pro can be geopositioned quickly, and easily map point cloud data to other quarry surveys. Fewer clicks for each operation greatly enhances the speed with which you can work. Auto date and time stamping helps you to find files without needing to enter details. The battery issues a warning when low, but shuts down automatically if not recharged,retaining your data for retrieval later. The new Li-ion battery is not only lighter, but also provides a longer scan time. Both the operating temperature and processing power of the system have been increased.